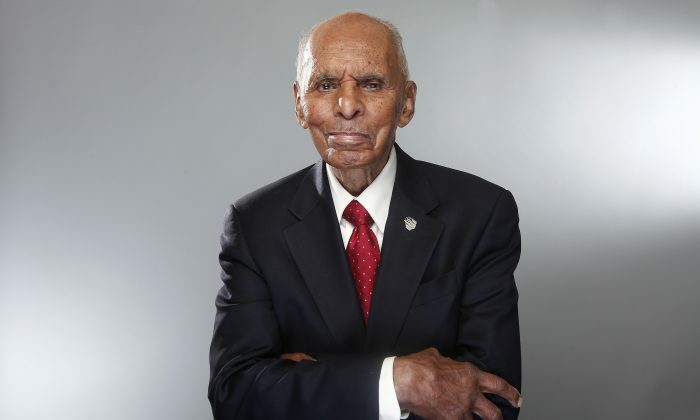 For Black History Month, Epoch Times honors the contribution the late Roscoe Brown Jr. made to civil rights in New York and the nation. The Tuskegee war hero and accomplished academic continued to work for African-American rights up until his death in 2016 and was an inspiration to many. NEW YORK—Lynda Hamilton was 12 the first time she met the unstoppable Roscoe Brown Jr.
Hamilton’s aunt had invited Brown to their annual family Christmas tree-trimming party. “Roscoe came religiously every year from that point on. He was the center of these parties,” Hamilton recalled on Jan. 27, six months after Brown died at age 94. “He talked to you like you matter,” Hamilton said. Brown lived by the motto “three P’s equals E,” or preparation, persistence, and pride equals excellence. “That drove him. He would talk about it until the day he died,” Hamilton said. 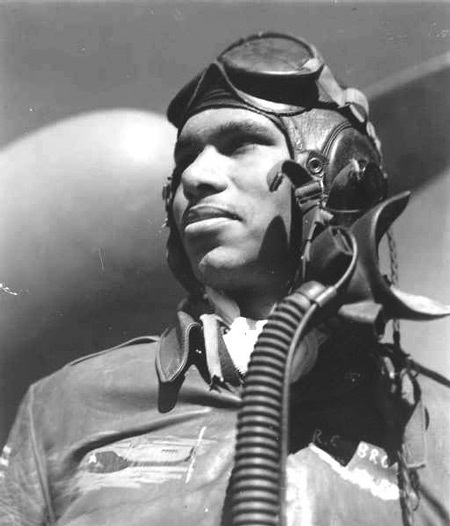 During World War II, Brown was an accomplished member of the Tuskegee Airmen, a group of 994 African-American pilots who were famous for their heroism escorting American bombers over Europe and North Africa. At age 22, Brown became a captain. He flew 68 combat missions and was credited with being the first Tuskegee airman to shoot down a German bomber. He earned the Distinguished Flying Cross. But Brown and his airmen weren’t just fighting a war abroad: The Jim Crow laws were still in effect at home, and they faced segregation and vitriol even within the armed forces. “He had a lot of frustrations about those things at that time, and they [airmen] would knock up against it, they would challenge it. They would go where they weren’t supposed to go,” like the mess hall and social areas, Hamilton said. It wasn’t until 2007, when Brown was 85, that he and five other Tuskegee Airmen were awarded a Congressional Gold Medal—the nation’s highest expression of appreciation—on behalf of the group. The medal was presented by President George W. Bush. “Even the Nazis asked why African-American men would fight for a country that treated them so unfairly,” Bush said at the ceremony. “These men in our presence felt a special sense of urgency. They were fighting two wars. One was in Europe, and the other took place in the hearts and minds of our citizens,” he said. The Tuskegee Airmen were credited with helping end segregation in the armed forces. Many of the airmen, including Brown, continued their activism post-war and helped usher in the civil rights movement. After the war, Brown wanted to become a commercial pilot and applied to all of the commercial airlines. Brown went into education instead. Brown became a professor at New York University after completing his doctoral dissertation in exercise physiology. A tireless champion for civil rights, he also directed NYU’s Institute of African-American Affairs. From 1977 to 1993, Brown was president of Bronx Community College, after which he became director for the Institute for Education Policy at the City University of New York. When Hamilton got divorced in 1999, she had to transition from being a stay-at-home mom back to joining the workforce. Brown hired her to run a conference for him, and a deeper connection was formed between the two. “You learn a lot just by watching someone that classy get in the trenches and how they get things done,” she said. Roscoe was never at the forefront or the troublemaker, she said. Rather, he managed to steer progress quietly. 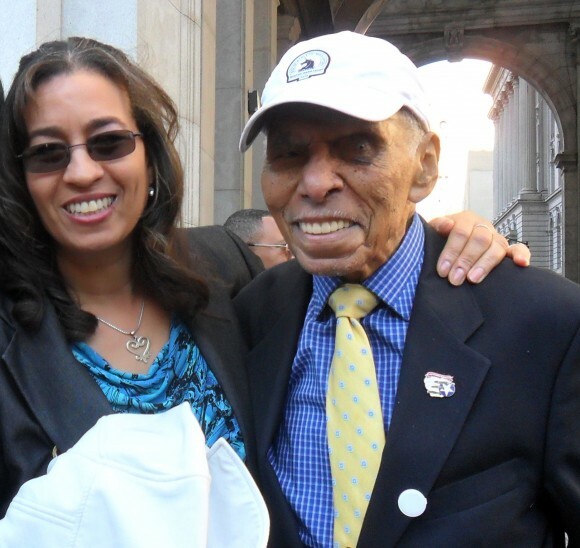 Brown was a networker; he was an adviser to New York City Mayor David Dinkins (1990–1993), and he rubbed shoulders with Congress members, governors, educators, and activists. Hamilton helped Brown manage all of his approximately 30 board memberships. “He was dedicated to all of them,” she said. The boards included parks organizations, athletics organizations, services for the elderly, and educational organizations. “He got viewpoints to change and he managed to steer progress quietly,” Hamilton said. Hamilton said Brown’s love for learning helped him embrace technology and he loved his smartphone. But Brown was 94, and although his mind was sharp, his body was winding down. He had a pacemaker and was in and out of hospital. Then he broke his hip. “He was in bed, he had a broken hip, he had a problem with his foot, he had the scars on his head, he had one eye. It was really like a warrior going down and still fighting,” Hamilton said. Hamilton is still guided by Brown’s wisdom; he is still mentoring her, reminding her that “three P’s equals E,” and helping her strive to be a better leader, a better person. Brown died on July 2, 2016. He is survived by his sons Dennis and Donald, and two daughters, Doris Bodine and Dianne McDougall. Brown will be interned at Arlington Cemetery on his birthday, March 9.